I became interested in studying food systems after interning with GrowNYC, a non-profit that manages over fifty New York City farmers markets. I saw firsthand how complex local and regional food systems are and was eager to learn about alternative systems like this one, that have the potential to sustain society over the long-term. My interest led me to designing my own food systems major at the University of Vermont, where I was exposed to agroecology, ecological economics, and food policy. As an undergraduate student I was able to study in Copenhagen, Denmark, for one semester, learning about sustainable development and food systems from a European perspective. I also had the privilege of traveling to Santa Catarina, Brazil, with Joshua Farley, Ph.D, in a course that aimed to increase adoption of silvopastoral Voisin grazing among smallholder dairy farmers. Over the past two years I interned with Rural Vermont at the Vermont State House, working to pass bills that benefit regenerative farmers throughout the state. I am tremendously excited to be back at UVM to continue developing an understanding of complex food systems, and using ecological economic principles and agroecology to envision and implement a more resilient future. I graduated in 2016 with a B.S. in Environmental Psychology from St. Lawrence University. My passion for regenerative agriculture began when I volunteered at Bittersweet, a small diversified farm and continued on to intern with GardenShare, a food security non-profit. Over the past year, I served as an AmeriCorps VISTA at Cornell Cooperative Extension of Clinton County in New York as the 4-H STEM Educator and Outreach VISTA. There, I worked to form curriculum in Animal Science, Environmental Science, Permaculture and more. I am excited to pursue a graduate degree in Food Systems at UVM because of how many different possibilities the program has to offer. I graduated from Bates College in 2012 with a B.A. in environmental studies. 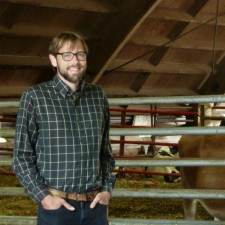 In the summer of 2014 I moved to Vermont and began working on an organic beef and dairy farm. I quickly fell in love with farming and worked at a handful of other small farms before starting my own pastured livestock operation in the spring of 2016. While I had always understood intuitively the inequity in our food system starting my own farm brought those inequities into sharper focus for me. It became clear that growing food and raising animals sustainably does not produce food that is affordable to all. At UVM I am excited to dive deeper into the connection between food security and sustainability and explore options for making sustainably produced food available to all. I have always had an affinity towards the natural world and have consistently tried to relay this passion in both my education and career. I graduated from Elon University with a Bachelor of Arts degree in Environmental Studies and Policy Studies, where I focused most of my coursework on sustainable agriculture, environmental policy, and general sustainability. Since my graduation, I’ve been working in the non-profit sector, writing grant requests for organizations that focus on hunger relief in low income communities as well as sustainable agriculture. 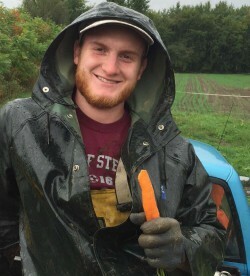 I first got involved in sustainable agriculture and food systems during my junior year when I volunteered at our campus farm. 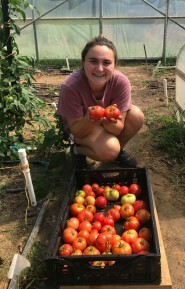 I was fascinated and amazed that 100% of the food grown there was grown by students and then donated to a local food pantry and homeless shelter each week. Enamored by the farm and its relationship to the community, the following year I became the volunteer coordinator, and the next summer was the assistant farm manager. In these positions I gained a greater understanding and appreciation for small scale organic farming, and the impact it had on the local community and ecosystem. That awareness pushed me to want to learn more about how to replicate these types of programs on a larger scale and led me to apply for my Masters in Food Systems so I could do just that. During my time at UVM I hope to marry my passion for food security and my undergraduate fascination of domestic policy and learn more about food policy as it pertains to society, the environment, and the economy. In 1999, after a decade of work in marketing, research and product development, I signed up for a UVM summer course in food and wine writing and launched my current career as a journalist specializing in food and agriculture. 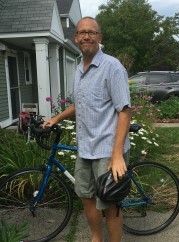 More than 1,000 articles, two cookbooks and dozens of radio shows later for media outlets ranging from the New York Times, Saveur and the Food Network to Vermont Life, Seven Days and Vermont Public Radio, it felt like time for another next step. I have always tried to frame the stories I share in their larger context: the economic pressures that impact the decisions made by a farmer or chef, the history and culture of an immigrant community that holds its food traditions close, the diverse reasons that push someone into food insecurity. My work has taught me a significant amount about the food system—but, of course, the more you know, the more you realize you don’t know. As a part-time student still working as a journalist, I have already had the opportunity to apply what I’ve learned in the Food Systems graduate program. I look forward to continuing to use new skills and knowledge to help the general public understand more about the system that feeds them. My passion for food systems is driven by a mission to improve human health through a love for the earth. I see food as our deepest connection to nature and our reminder that we are a part of this earth, not just living on it. I am an avid gardener and believe empowering others to grow their own food is the most effective vehicle through which to improve health and instill a desire to care for the earth. I graduated from Keene State College in 2012 with a BS in Secondary Education and Social Science. After graduation, I spent two years volunteering as an AmeriCorps VISTA in Manchester, NH before moving to Burlington and beginning a career in nonprofit development. 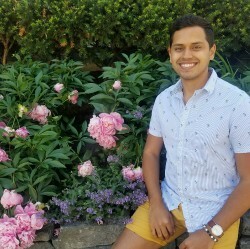 In my current role as the Development Director for KidsGardening, I am able to bring together my passion for food systems with my career in fundraising to help create opportunities for children across the country to learn through gardening. I am excited to begin the Food Systems Graduate Program at UVM and deepen my understanding of the many aspects of food systems and how they contribute to health of our planet and its people. Maya has been working in the conservation and development field, mainly in Madagascar but also in Thailand and Guatemala, for nearly 15 years. 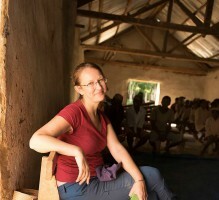 She holds degrees in Biology and Sustainable International Development. Having grown up in Northern Maine, she looks forward to joining the UVM community this fall and returning to New England with her family and three dogs. 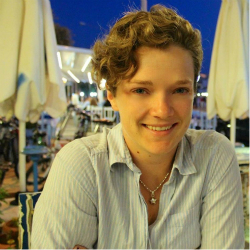 She is predominantly interested in seeking out interdisciplinary answers to the challenges of food security in the face of climate change, as it relates to human well-being and tropical biodiversity protection. Her broad research questions pertain to the ways in which smallholder farmers are experiencing and perceiving climate change, how this is impacting their land management decisions, and how this affects conservation strategy in the tropics where agricultural pressure is the leading cause of deforestation. 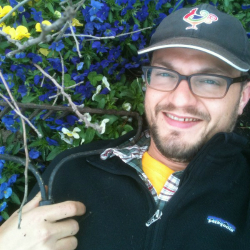 Other interests include sustainability, organizational development, climate and food justice movements. She loves to travel, experience different cultures and try the food! For the past decade or so I’ve been working in close collaboration with the Vermont immigrant dairy worker community to imagine, create and build Migrant Justice. I partnered with the community to organize several human rights and food system campaigns, which have resulted in significant changes to Vermont legislation and public policy. More recently, I helped to facilitate a process where dairy worker members of Migrant Justice organized to envision, design, and create a groundbreaking farmworker rights program called the Milk with Dignity Program (MD), which ensures that farms in Ben & Jerry’s northeast dairy supply chain comply with a set of worker-defined labor and housing rights standards. These experiences and my broader interests in human rights, economic justice and social movements have now inspired me to return to UVM (MA in Geography, 2005), to pursue a PhD in Food Systems with a focus on issues of social and economic justice. I’m particularly interested in researching and analyzing how different food system policies, initiatives, and actors either promote or restrict fair, dignified, and sustainable livelihoods for both workers and farmers in the dairy industry. I look forward to collaborating with the UVM Food System interdisciplinary team and am excited for this opportunity. As a non-traditional student, I have followed an indirect path - from archaeology to graphic design - but a love of travel and food as been there all along. 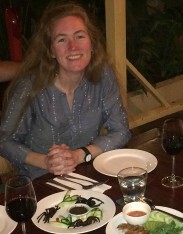 I have had the exceptional fortune to try spicy fried tarantulas at a fancy Cambodian restaurant, banana leaf-wrapped Guatemalan boxboles in a family home, and vegetable tagine in the Moroccan desert. I earned a B.A. in Archaeology from Boston University which prepared me to work in contract terrestrial archaeology. That combined with scuba diving led me to the Lake Champlain Maritime Museum where I also developed web, graphic, and exhibit design skills. Now I’m working full time with UVM Extension as Assistant Webmaster, and just couldn’t pass up the extraordinary opportunity to pursue a M.S. in Food Systems. In a pairing of my academic and professional endeavors, I am developing a data visualization needs assessment for UVM Extension to fulfill my master’s project requirement. Over the past two years, I served as an AmeriCorps member at Green Mountain Farm to School. 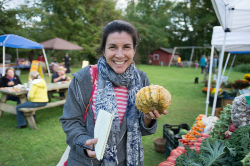 As a farm-to-school coordinator, I worked closely with teachers, parents, and farmers in the Northeast part of Vermont to connect students to the local food system. Some of my favorite memories were taking kids on field trips to local sugar houses to see how their favorite sweet treat, maple syrup, gets made. Before moving to Vermont, I graduated with a B.A. in International Studies and Human Rights from the University of Dayton which shaped my shaped my belief that adequate food and nutrition should be guaranteed for all people. I chose to stay in Vermont and attend UVM because of the rich food scene and opportunities to get involved in the farming community. I graduated from Smith College in 2014 with a B.A. in Biology and Environmental Science & Policy, with a concentration in Sustainable Agriculture. In my time at Smith, I became particularly interested local food systems, food access, and food waste through my Sustainable Agriculture coursework and interaction with the local community. My interest in the local food systems was especially driven by a two year internship with Rachel's Table, helping to coordinate gleaning efforts with a local farm and leading groups of students to save food that would otherwise go to waste. After Smith, I accepted an AmeriCorps position in Knoxville, TN, working as the Data Analysis Coordinator for the University of Tennessee's Office of Sustainability. When my year of service ended I moved to Boston, MA and began working for NUBIA, a small urban agriculture non-profit, where I have been growing food and running student programs for the past two years. 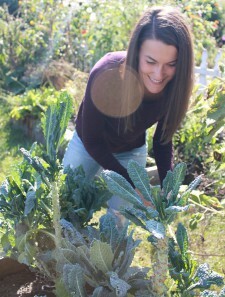 In Boston I also worked for the non-profit Food For Free as the co-Farm Manager and Volunteer Coordinator of their quarter acre plot dedicated to donating fresh, quality produce to the local homeless shelter and soup kitchen, Pine Street Inn. In my free time I love to bake, read, hike, volunteer, and befriend other people's pets. Through the transdisciplinary, systems-focused approach at the core of the UVM Food Systems program, I have come to see the patterns of food production, consumption, and disposal as a complex intersection between industry, tradition, public health, and environmental stewardship. My Master’s thesis project, completed in 2015, focused on the ways in which one specific agricultural management practice, grass-based dairy farming, can help to address farm viability, public health, and environmental sustainability issues such as water quality and climate change. I used a mixed-methods approach for this project. Now, looking ahead toward earning a PhD, I have concentrated on deepening my formal training in data-driven mathematical and computational approaches—useful in the analysis of complex networked systems—through the graduate certificate program offered by UVM’s Complex Systems Center. 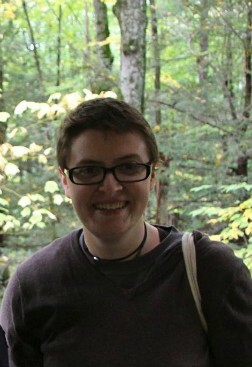 I also continue to serve as a team member of UVM’s Social Ecological Gaming and Simulation (SEGS) Lab, where we work to develop behavioral economics games and agent-based computer simulations to better understand complex phenomena at the nexus of social and ecological domains. 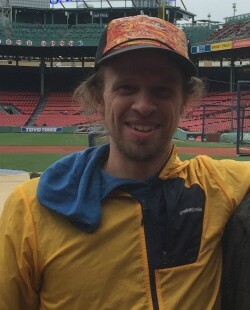 In addition to continuing to pursue academic research, my ultimate goal is to be able to put the knowledge I’ve built through my graduate studies at UVM in agricultural economics, computational systems modeling, and public policy optimization into play in a real world setting to improve the ecological, economic, and social sustainability and resilience of our food systems. Read more about Serge's research. I grew up in northeastern Vermont and got my undergraduate degree in Food Literacy from the University of California at Berkeley, working for several years after as a freelance writer and community nutrition educator. Having just finished my master’s in Food Systems at UVM, I have decided to stay for the PhD in Food Systems and ecological economics. My master’s thesis, on food agency in a low-income community of color, taught me how incredibly strategic people can be at accessing food in an unsupportive environment, and solidified my interest in research and the communication of science. My PhD research will continue my work on food agency and on social justice in the food system and in a changing climate. I completed a B.A. 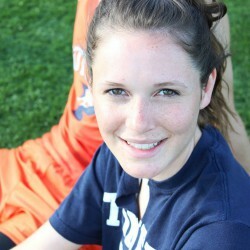 in cultural anthropology and environmental studies at Colby College. Then I apprenticed in organic farming in Canada, and recently completed a M.Ed. at the University of New Brunswick, compiling interviews with Wolastoq First Nation Elders, archiving their narratives, focusing on community and family food systems. Enjoying time in nature, I’ve been studying and teaching about botany, gardening, ecology, and health, working with schools, ages pre-K – 12. Additionally I have been researching with William Woys Weaver, working to preserve endangered, historic food plant varieties through propagation and dissemination. In 2015 the teaching garden I founded in Pennsylvania won 2nd best educational and community garden in the U.S. by America in Bloom. While at UVM, I am excited to study school nutrition programs, and farm to school and community food education projects, with goals of advancing health, engagement, and community vitality.